Our expertise in the respective domain enables us to provide Servo Drives that conduct follow-up control to a target position and speed. These drives are manufactured using latest technology that can be easily moved and repeatedly to a target position. Hence, these devices meet the high-speed and high-performance equipments and automated machines that are widely used in numerous plants. Offers Machinery maintenance audit, Annual Maintenance contract, comprehensive or non comprehensive for Industrial plant and machinery, Medical equipment, Marine & Offshore and Railways IT infrastructure includes hardware and software support. Component level for High Value Electronics circuit Repair Services. Industrial Machinery Repair and Annual Maintenance contact Service. We represent many manufacturers of industrial equipment. We are proud to have earned the distinction of being¿¿an Indian¿¿Representative/ Factory Authorized Repair Centre and warranty management. We provide these services through a network of Service Centres, Field Service Offices, Representatives in¿¿ Major¿¿ Regions across India. We serve over 5000 Customers spreading all over India & overseas. 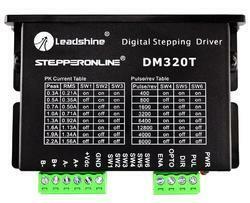 Offering simple to Advanced Stepper motor drives. Star Automation is one of the leading Stepper and servo Systems Supplier and offers to you Pre-sales and After-sales support, from the configuration of a servo drive system adapted to your applications and services throughout the entire machine life. USA(United States), UAE (United Arab Emirates), UK, Saudi Arabia, Malaysia, Sri Lanka, Australia, Argentina , Bangladesh ,Belgium ,Bahrain ,Brazil, Bhutan ,Belize ,Canada , Switzerland, Cameroon , China, Colombia, Germany Denmark , Egypt, Finland, France ,Greenland, Hong Kong , Greece , Indonesia, Ireland , Israel ,Iceland , Italy , Jamaica ,Jordan ,Japan, Kenya , South Korea , Kuwait , Sri Lanka,Morocco ,Mauritius ,Maldives ,Mexico, Malaysia, Netherlands, Norway,Nepal , New Zealand, Oman, Philippines, Portugal ,Poland, Qatar, Russia, Singapore, Thailand, Turkey, Taiwan, Tanzania, Ukraine, United Kingdom ,South Africa, Vietnam ,Zambia and Zimbabwe. 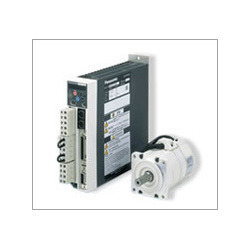 If you are looking for Stepper motor drives and Stepper motors, please call us. We will do our best to help you find the Stepper motor drives that you are looking for at the most competitive prices possible. Expert in obsolete and Discontinued servo drives repair & maintenance and Servo motors Repair . We are one of the leading National service providers and have 15 years experience in the field of servo motors, Servo Drives, PCB, PLCs & Industrial Electronic installation, commissioning, operation, and troubleshooting, Repair and Maintenance. 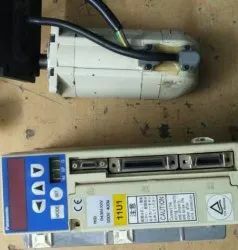 Machinery Failure Analysis and Troubleshooting - Servo Drive alarm troubleshooting - Network Communication Protocols servo drives troubleshooting -Motion controller for PacDrive 3 LMC Eco / Pro / Pro 2 - For automating machines PacDrive hardware repair , Controller , PC based controls , Decentralized servo drives repair .Sercos drives fault, LTi MOTiON. We offer Mechatronic Servo System 750 Watts. 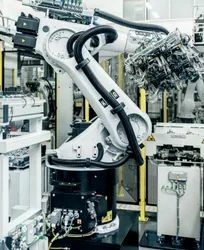 Star Automation is one of the leading servo Systems Supplier and offers to you Pre-sales and After-sales support, from the configuration of a servo drive system adapted to your applications and services throughout the entire machine life. We Offering multi brands servo system. 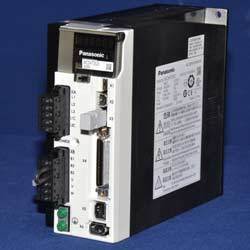 Star Automations is an authorized dealer for Panasonic AC servo System. We design and manufacture PLC based control systems for Industry. 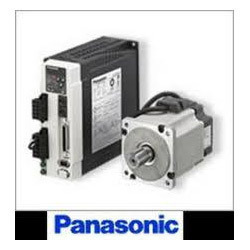 Panasonic Minas Servo motors are amongst the highest performance motors in the World. Our product line-up offers a motor suitable for most high performance applications. Gain-tuning with "Real-time auto tuning"
Offering Panasonic Servo Drive.We are an authorized dealer for Panasonic servo drive and servo motor. We design and manufacture PLC based control systems for Industry.Including industrial control systems for; automation, pharmaceutical, packaging equipment, special purpose machines & the process industry. Mitsubishi Electric offers a variety of Servo and Motion system products providing solutions for applications as simple as a single axis point-to-point system through to fully synchronized 96 axis systems. The MR-J3 Series of Servo motors and amplifiers takes Mitsubishi Motion Control to new levels of precision with a wide range of motors (all fitted with a standard 262,144 absolute encoder) and wide amplifier range (up to 110kW). HA-SH Refer to the following sections for precautions regarding the replacement of MR-J2 and MR-H with the MR-J2S and MR-J3 replacement models. Looking for Servo Drives ?